When I started using Linux printers eluded me a bit, my Canon multifunction printer did not have good linux drivers for quite some time and initially I could not find any software to run my small Brother label printer. Eventually Canon improved their driver and I found a program called blabel for my brother label printer. I have been shipping enough 3D printed objects on 3DHubs that I became annoyed with printing out labels with my inkjet and then tapeing them to padded envelopes. A long time ago I worked with some commercial thermal printers and figured that was the way I wanted to go since they don’t smudge or use any ink. I looked a couple of different times but the printers were still pretty expensive. Eventually there was a sale and I purchased a Dymo LabelWriter 450 Bundle for $49. Before purchasing I checked and there were linux cup drivers available since I only have windows running in a VM. Once you have downloaded the drivers, install libraries, unpack the drivers and then install. Once the drivers were installed I added the printer using the built in Ubuntu add printer wizard and installed glabels. The bundle I bought came with 4 different types of labels that I was able to create custom templates for in glabels and print some stickers for my friend’s company. The bundle did not include the right labels for printing USPS Shipping labels so I purchased these labels. 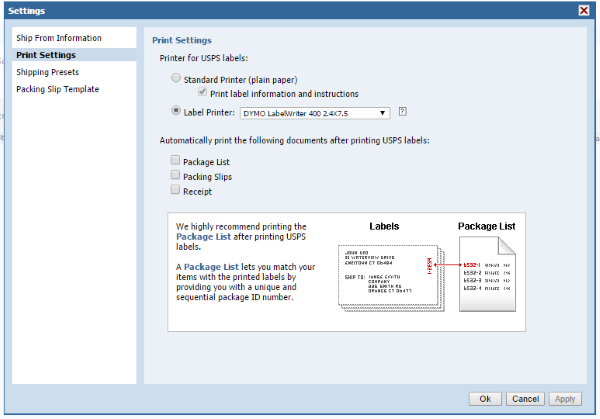 I set up the shipping labels in the preferences for the printer and then went into my paypal multi order shipping options and adjusted the following settings. Now I can easily print shipping labels for 5 cents each and don’t have to mess with cutting and taping anymore. I have been dual booting with Windows 8.1 & 10 and Ubuntu for a couple of years now. For much of that time I mostly used windows for day to day tasks and used Ubuntu to play with git, node and ruby applications which generally work much more easily on linux. I have a MSI Nightblade gaming pc with an I5 a NVIDIA 980 Graphics card and 16GB of ram. I am currently running Ubuntu 15.10 desktop. When I started with Ubuntu most but not all of my hardware worked. Since I was still dual booting with windows I didn’t spend a ton of time trying to find solutions but over time updates to Ubuntu fixed some printer annoyances with my Canon WiFi printer and NVIDIA improved the drivers for my graphics card. 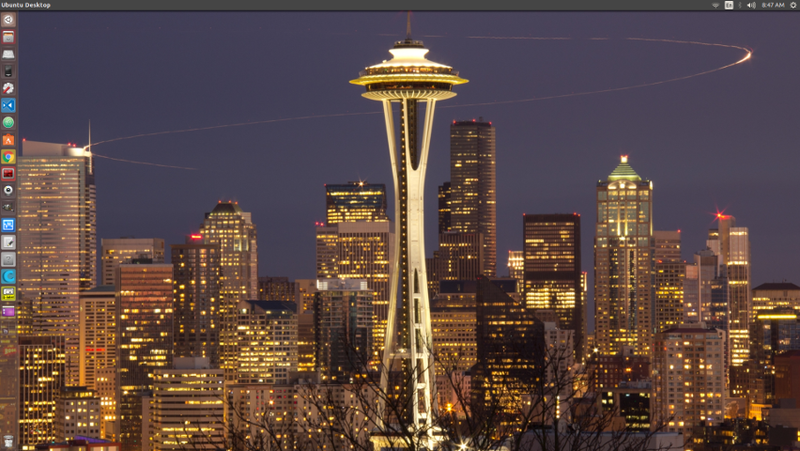 Dual monitor support is now great and I am pretty happy with the ambiance theme I have been using. I use Libre Office when I need to open an office file, and Remmina Remote Desktop Client to connect to my office computer running windows via RDP. Both of these are built into ubuntu. There are also nice built in utilities for tasks like CD/DVD burning, making bootable USB keys, unzipping files and viewing PDF’s as well as a host of other things. Often searching the dash surfaces a program already installed for doing what I need. I installed the gimp for image editing and it works pretty nicely despite requiring you to “export” everything to save it in a useful format. I have a 3D printer and have found the USB Serial connection that 3D slicing software to print parts when connected to a computer seems to generally be more stable on linux. 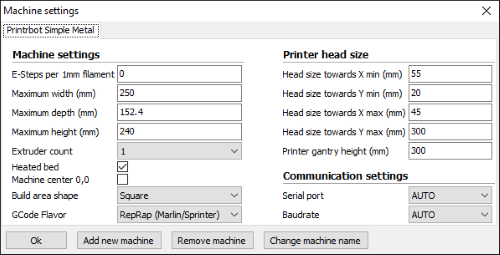 Once power management settings that could affect a print are off it just works. 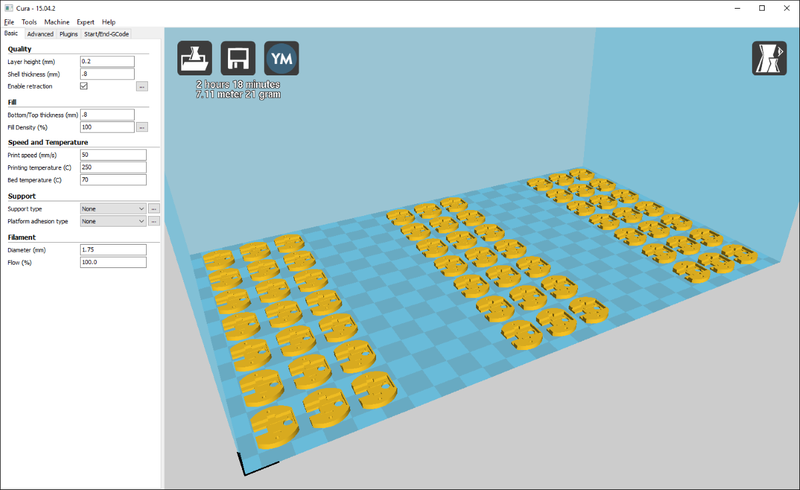 The two slicing programs I use Cura and Simplify3D are both cross platform and have linux versions available that work equally well as their windows counterparts. For software development I have been using git in the command line and either Github Atom or Visual Studio Code as my editor. I enjoy Terminator for my terminal. Node jekyll ruby and python all work really well on ubuntu without all the tedious setup required on windows. For a web browser I use google chrome as it can be set up to work with sites like netflix and amazon prime video. Once WebGL is working I was also able to use Onshape and Tinkercad in Chrome as well. In November of 2015 a Windows update destroyed the network drivers for my desktop in Windows, I tried a number of things to get it fixed but could never get it connected to the internet again. I kept the windows partition on and used it occasionally for the few remaining things that I could not do on linux. Over time I found linux based solutions for all of these issues. I have a small brother label maker that has a windows exe file embedded in the printer that you use to print the labels, I found a small linux program Blabel that does the same thing, and is easier to use than the brother software. The last piece of hardware I had not found a solution for was my USB microscope. My 6 year old daughter uses it to look a things, and I found a nice program called Guvcview that supports my microscope. I use Angry IP Scanner to find newly configured devices on the network. Recently I found a good deal on two mSATA hard drives that I can configure as a primary and recovery disc on my Nightblade desktop. I backed up both my windows and ubuntu files and then did a fresh single boot install of ubuntu on the new hard drives. I thought about dual booting with windows again, but the install is so long I decided I just didn’t need it anymore. I even wound up being able to keep both Windows 7 and Windows 10 available to me via VM’s in VirtualBox. I have 3 Windows 7 Ultimate keys that allow for virtualization so I made two Windows 7 VM’s and then upgraded one of them to 10. I used the windows 7 vm to upgrade the firmware on my router since only windows software was available. Windows is gone from my home and my PC has never ran faster, Ubuntu may be a pretty heavyweight linux distro, but it is much slimmer than windows and I am very pleased with my new setup. I love my Printerbot Simple, but I have had a limited amount of success printing plates full of parts since I installed my X axis upgrade. 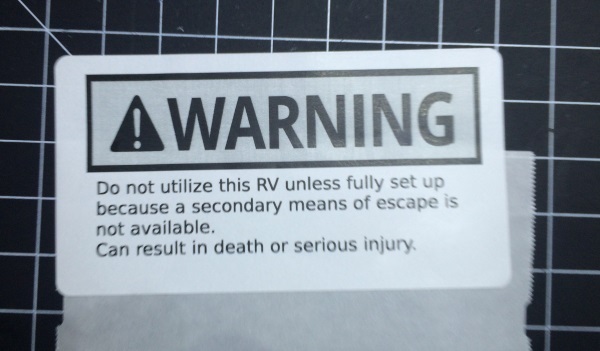 Despite having more bed space I continued to have issues with printing batches. When printing all parts at the same time issues with one print seem to multiply themselves to all the prints sometimes wreaking the entire plate of parts. There are also sometimes imperfections and stringing on parts caused by the extruder traveling between parts. I had seen the print one at a time setting in Cura before, but stopped before trying it because I didn’t have accurate print head measurements. I googled around some more and found this thread about using the print one at a time feature with a Printrbot Simple. There were settings on the thread for the simple’s print head, so I entered those values and gave it a try. I loaded up medium sized part I needed six of in Cura and let Cura do the object placement automatically. Each part was printed one at a time over the next 5 hours. The print head had enough space to print all six parts even with the fan on my UBIS 13S. Using the print one at a time feature was easier to setup than I expected and has made printing batches of parts more predictable. For smaller parts I have been saving smaller batches as a single STL file and then using the print one at a time feature to print a number of smaller batches one at a time. So far I have only successfully used the automatic object placement, when I tried to position objects myself the print order Cura decided to use seemed risky with my blower fan attached.